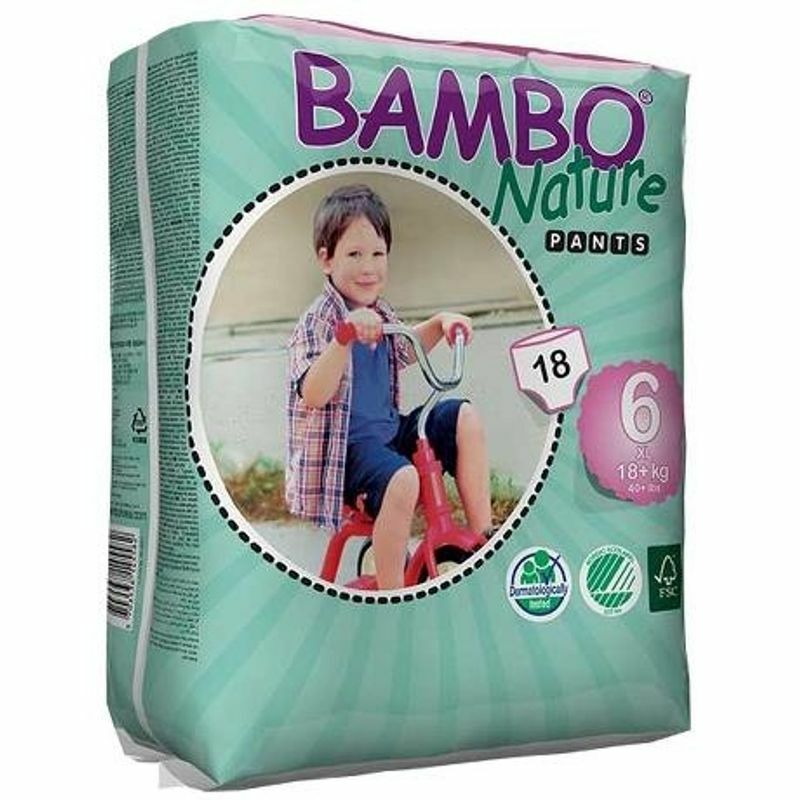 Bambo Nature Junior Training Pants in XL is a premium diaper for children weighing 18+ kg. These training pants are ideal for potty training, as the pants are easy for your child to pull up and down. These are manufactured in a production facility where 95% of all production waste is recycled. Furthermore, Bambo Nature is labeled with the Nordic Eco-label and it is also dermatologically tested. All Bambo Nature Nappies are latex free.